I went to the Colnago factory , where I was greeted by Laura , and left my bike in the work shop area. I asked if she minded answering a few questions and she very kindly introduced me to Alex Colnago , who was also very , very kind by letting me ask him a few questions . The first I asked was if there are any distinctive marks on Gloria race bikes circa the mid ’60’s which would indicate his Uncles hand , sadly there are none. these are the C40’s that smashed the Hell Of The North..
such an amazing man , I was like a little boy , I pledged my loyalty and said I would never let him down . and Mr Colnago , thank you for the joy you bring. Ofcourse the old man let you in 😀! I swore my loyalty to the King! 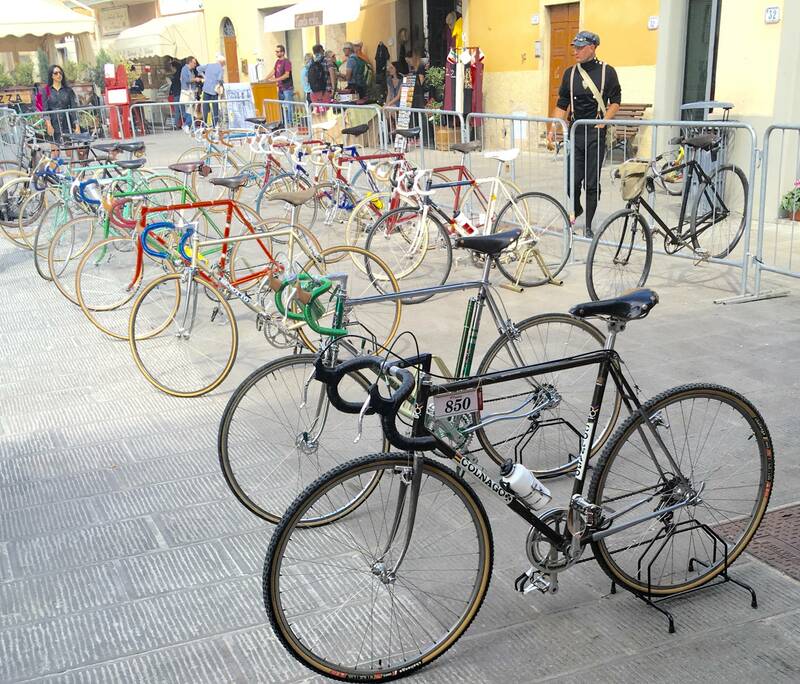 Vai Colnago!